StarCraft is magic, StarCraft is light. Sunny days are coming – what a pure delight! Hi. 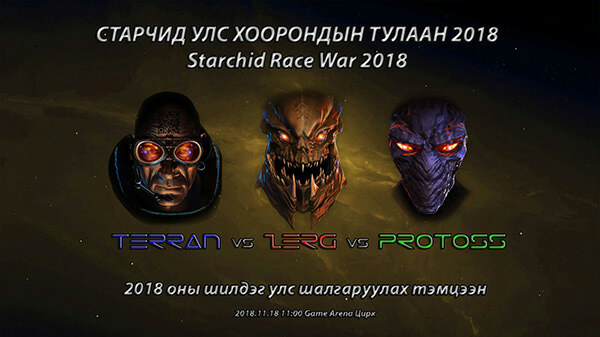 I would like to share our Starchid (Mongolian: Старчид – people who have something to do with StarCraft.) 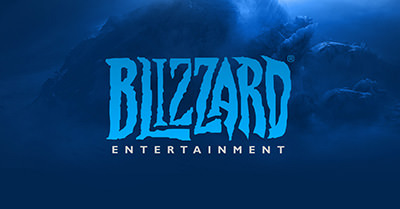 “project” or initiative with fellow TL members and admins, to exchange experience, ideas and hopefully to catch an eye of Blizzard community support or management team for further development. Mongolia is located in central Asia and lies between Russia and China. Over 62% of total population (3.2 million) are young people under age 35. 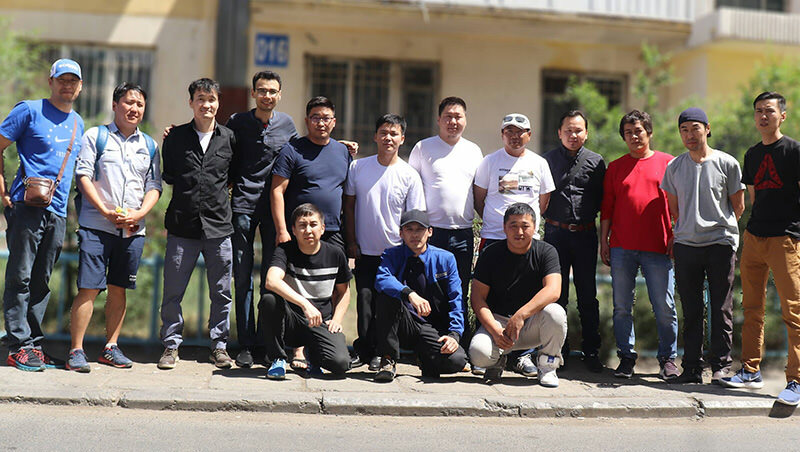 Similar to Korea, early 2000 saw a rise of pc-bangs/internet centers, especially in the capital Ulaanbaatar (UB) – the coldest capital of the world, where half of the population lives. Currently there are 2.9 million active internet users and 452 pc bangs – a huge number compared to overall population. These young people grew up playing competitive games starting with RTS (such as AoE, C&C, SC:BW, WCIII etc. ), continued with shooters (CS, PUBG) and MOBAs (DotA). 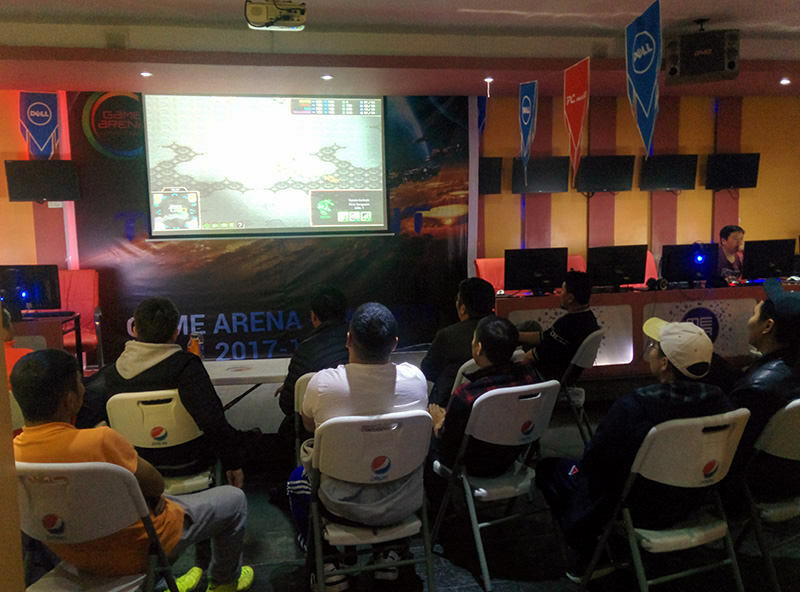 Although there are no major sponsors and no governing structure, e-sports has started to shape up, following the worldwide trends. 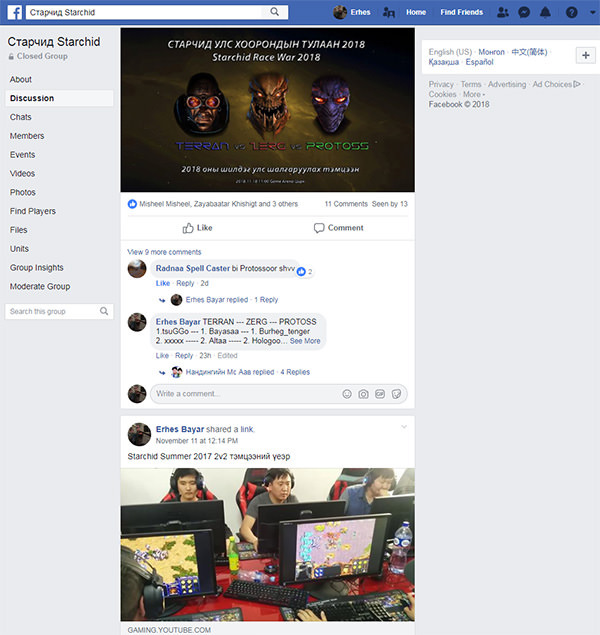 Compared to some other countries, we already had some internationally recognized names in CS (The MongolZ), SC2 (Sioras), Hearthstone and other games. It will not be a wrong statement if I say that most of the younger and middle-aged people still play competitive games in their free time (although mostly not at professional level). 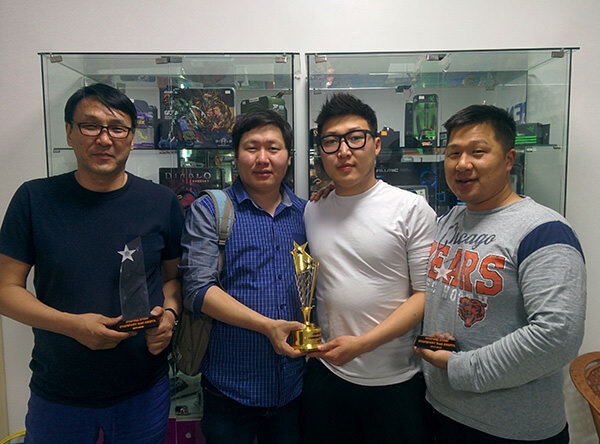 In Mongolia, StarCraft: BroodWar was highly popular among people especially from early 2000s to around 2009. This was partly due to amazing gameplay, easy accessibility, LAN play, but also because many people were able to embrace StarCraft culture during their studies or work in Korea and then bringing that culture with them. High system requirements (for 2010 Mongolian standards), online requirements (no LAN), less portability and noticeable delay in online play (at that time) hindered SC2 in prevailing locally. 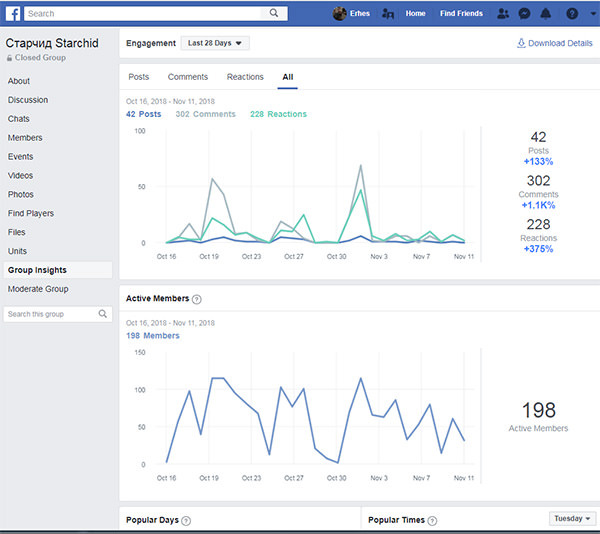 (re-)Birth of the community began with creation of the Starchid Facebook group (https://www.facebook.com/groups/starchid/), by people finding and adding their friends and friends of friends from older days. As of today the group has 248 members – a number to be proud of for any kind of unofficial community, except maybe for the newest games. From those, 198 are active members, and 60 are active players who regularly attend tournaments, meetings and activities. The age range varies between 18-45, where most of the people have jobs, families and kids. We also have players with disabilities, who are among the active players. Last week marked our first sad event, as the community lost one of the members to illness. Skill range is evenly distributed, with a healthy mix of chobo and experienced players. 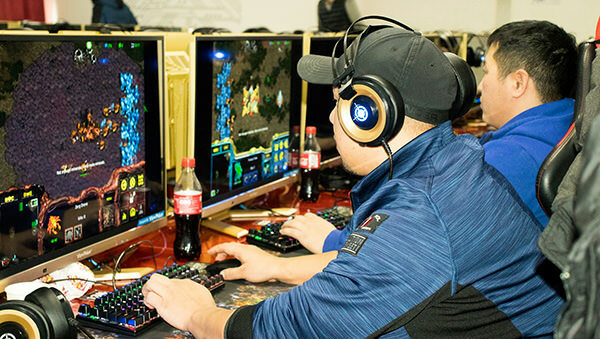 The skill level is of course far from top level, but it doesn’t necessarily require gosu skills to enjoy the game of StarCraft with its thrills. 1. 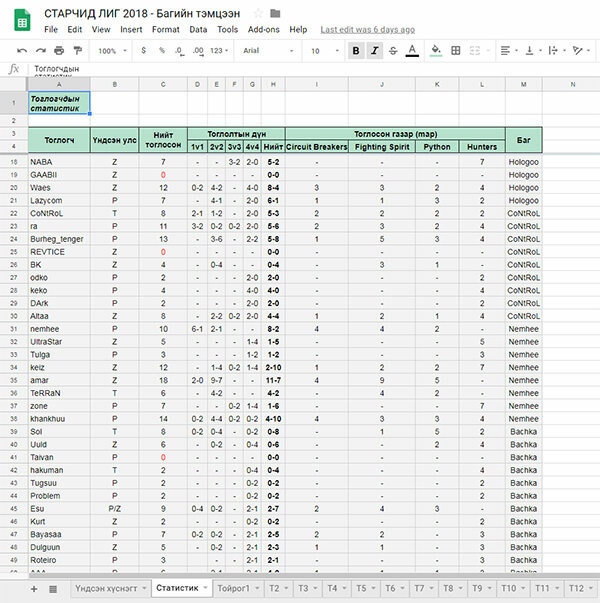 Active participation: Although the majority of players have jobs and families, almost 200 people have gathered during past 12 events/tournaments held since spring of 2017. To support healthy mix and fair distribution, one player is allowed to participate only in two Bo3 games every match. Regular season has just concluded in October. Playoffs between top 3 teams will be held in December to crown the Starchid League 2018 champion team (like in Proleague). 3. 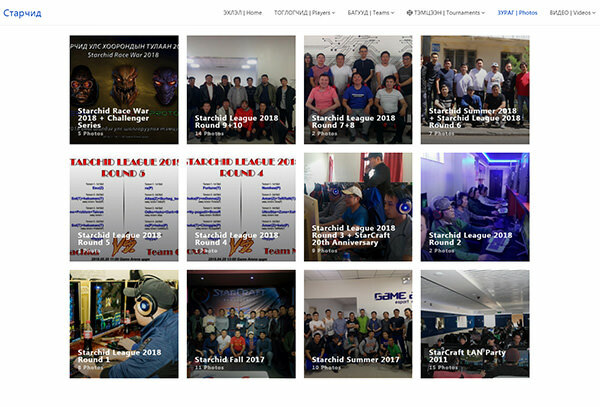 Besides using Facebook group to exchange information, the community has its own website (http://starchid.digital.mn/) where all player, match and tournament data and information is available. The website also contains extensive photo gallery (http://starchid.digital.mn/index.php/starchid-photos), video broadcasts of important matches and other essential links. 4. The community has its own ELO ranking, which acts as a motivator for people who want to improve their individual skills and compare themselves with other similar players. 5. 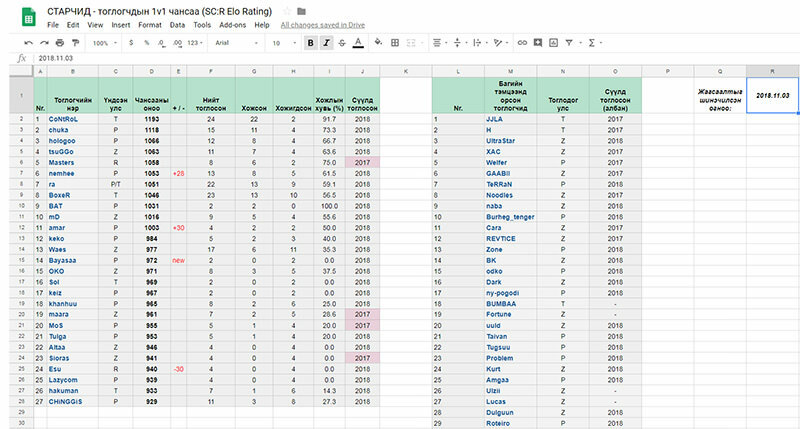 Additionally, all match results and league stats are stored and updated separately on google drive, accessible from anywhere. 1. 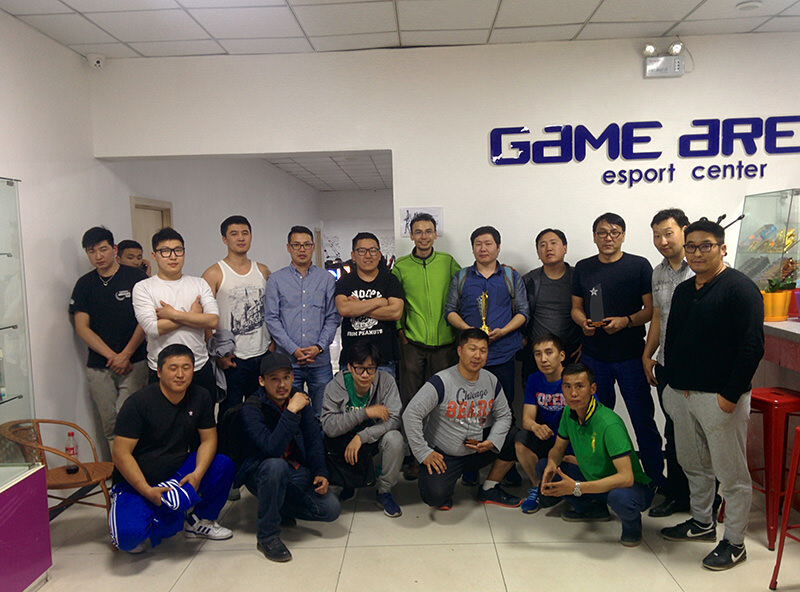 Although the participation of the players in tournaments is still very good, after several tournaments some players have reported lack of additional motivation in form of winner prizes (such as goodies or prize pool). As of now, when a player enters a tournament, registration fee is deducted from him to form the prize pool, which is sadly too low ($2-4). 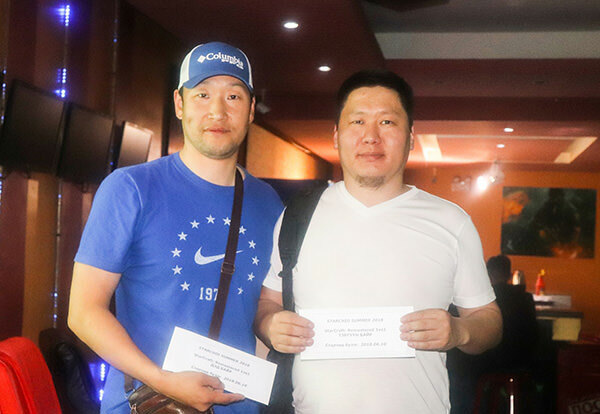 Our highest winner prize was 80,000 MNT ($30) – which will be much lower if divided among several team members. Currently we have no rewards available for the winner of the team league finals, which will be crowned in December (as there was no registration fee for teams). Also, the upcoming Race War tournament has the usual registration fee of $2, which means the player from winner team will be getting $6 each, which is not motivating in the long run, especially when compared to tournaments in other countries. 2. Although the number of members in the community is good, we are observing stagnation in growth. During the tournament matches there are usually interested young observers between age 15-25. Although they like watching, when it comes to playing, it seems that they are “frightened/intimidated” away by the higher entry-difficulty of the game, compared to games such as DotA or PUBG. To overcome this barrier, it can help if it will be possible to lure new players by announcing high rewards for top finishes at tournaments. 3. It takes a lot of effort alone to keep everything (website, events, group, stats, ranking, photos, broadcasts, video etc.) running and up to date, especially having an 8 hour job, sometimes affecting the performance. Help from others would be gladly accepted, but in addition to time issues, lack of English and IT skills proves to be problematic for other members. Nevertheless, I have managed so far and hope to be able in the future as well. 1. 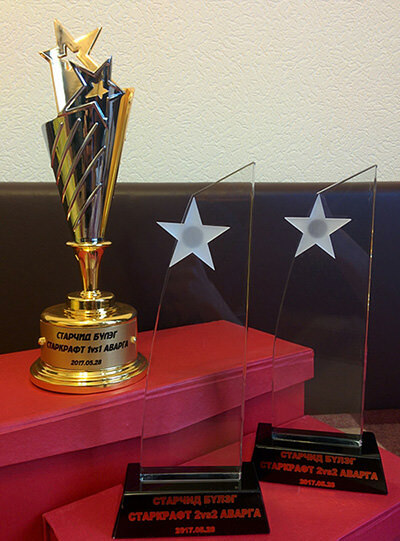 A possibility to appropriatly reward the players and teams for their activity and outstanding result at the tournaments would be amazing for motivation and further skill improvement. For example, a $200-300 reward for Race war winner team, $150-200 for individual (1v1) tournament winner, $600-800 for team league winner team could be great. 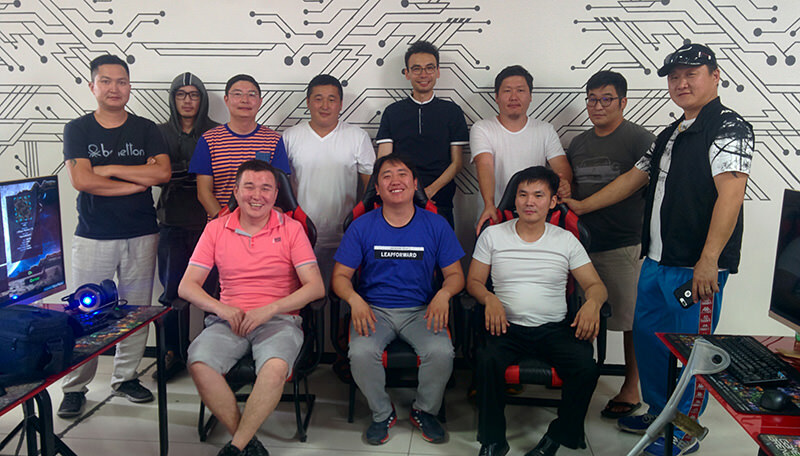 As e-sports culture and governing structure are not yet set in the country (building this, or investing could be a good business opportunity), it proves difficult to find sponsors. 2. Blizzard does support its StarCraft series greatly ($500,000 prize pool for SC2 WCS, $80,000 for KSL, official sponsorship of BSL5 and BSL6 prize pool etc.) and it would be wonderful if they can also officially support our community. Even if the prize pool will be lower, all players will still directly or indirectly benefit from it. It would be of tremendous help, if it is possible to get in touch with Blizzard officials on this matter. I hope someone experienced and with contacts can help (dear TL admins, casters, ex-pros etc.). 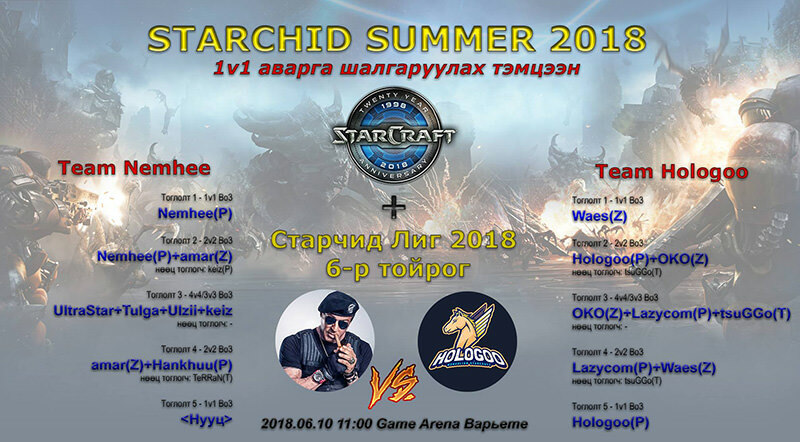 For example, if it will be possible to announce a tournament with price pool of $1,000-1,500 - it will create a lot of attraction, not just among current players, but also inspire newcomers or people who were interested in StarCraft but were hesitating to make the decisive step. 3. Any support from fellow StarCraft admirers and communities would be of course glorious. This is such an awesome grassroots movement; BW scene as a whole could use a lot more of these if it plans to stay alive in the next decade or so. One thing I can suggest in order to potentially get bigger prizes for your events is to integrate more with the foreign community. Start advertising your events on TL, start streaming on twitch.tv, have English commentators, etc. It will be much easier to find potential sponsors that way, and even potentially gather enough contributions from the community in some kind of a crowdfunding effort. Best of luck with your community, you have a pretty amazing thing going on. This is indeed amazing, just fantastic. Keep up the great work. As mentioned, trying to advertise it might help in the long run. I would also look into trying to find someone to help you manage everything. When someone commits to something, then they feel that they are a part of it. As for the young interested players that are scared away, I think you should find a way to just get them to try the game. I don't have any ideas atm, but anything that'll get them to sit in that seat, and give it a try. Once they do and they find they are enjoying it+lots of resources/support, they'll be back! This is really cool, keep at it. High entry barrier has always been an issue with BW, it's even more apparent now that games are way more easier and accessible. In terms of quality nothing compares to Starcraft tho, just gotta find a way to get people to take the leap t_t (or at the very least get their feet wet!). Team games (2v2/3v3/4v4 or even Micro/Macro) and UMS' could help out in this regard. 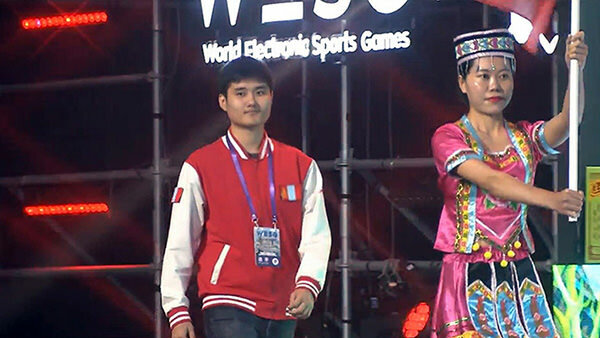 I mean just look at CadenZie, she's a mega gosu foreign killer (as well as a delicate/tender being) competing in Korea after only playing BW for 1 year! My mom doesn't sound weird!! reminds me a lot of the grassroots cuban bw scene a while back. Very cool news, thanks for this. Used to have a girlfriend in Mongolia and i'm interested in the future of the country economically so it will be interesting how this goes. PS: I really recommend low money 3v3 Hunters for people who want to practice 1v1 skills without the anxiety, so they have team backup. All the same multitasking and low unit micro skills but without as much pressure. When I finally got into 1v1 I played more and more low money Hunters to practice without the anxiety. Suddenly, this I did not expect. 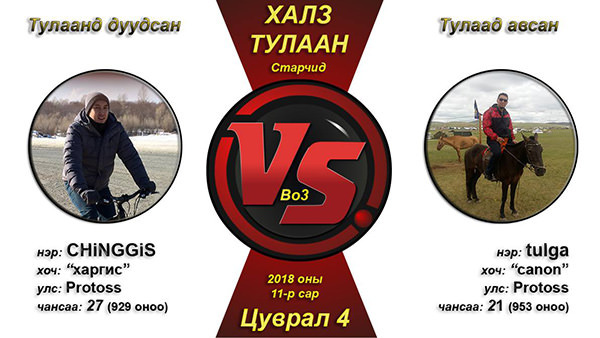 Mongolian SC:BW community fighting! Awesome stuff! It takes a lot of effort and passion to keep something like this going--I hope your community continues to live on and thrive. I love it. Keep up the good work. My best wishes for your future development guys! "Don't worry, I use Special Tactics this time, no problem." Great post. How are you doing so far? I guess it's hard to find money for SC2 in 2019?